This entry was posted in Residential Projects and tagged Brunacci Residence, Launceston Architects, Low Head, MJ Architecture, Tasmanian Architects on February 7, 2018 by MJ Architecture. The last couple of months has seen the completion of all the electrical and plumbing rough-in, installation of wall and floor insulation and commencement of window installation. 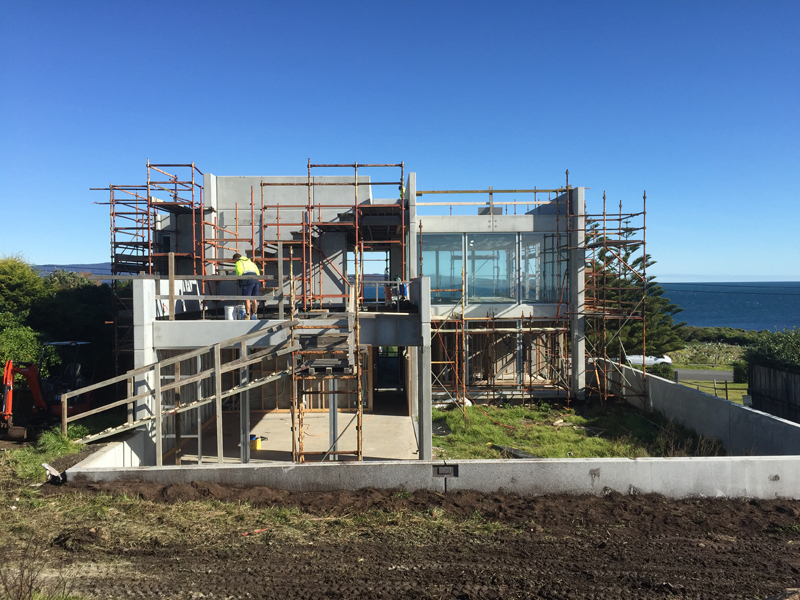 This entry was posted in Residential Projects and tagged Brunacci Residence, Construction Blog, Launceston Architects, Low Head, MJ Architecture, Residential Architects, Tasmanian Architects on May 22, 2015 by MJ Architecture. 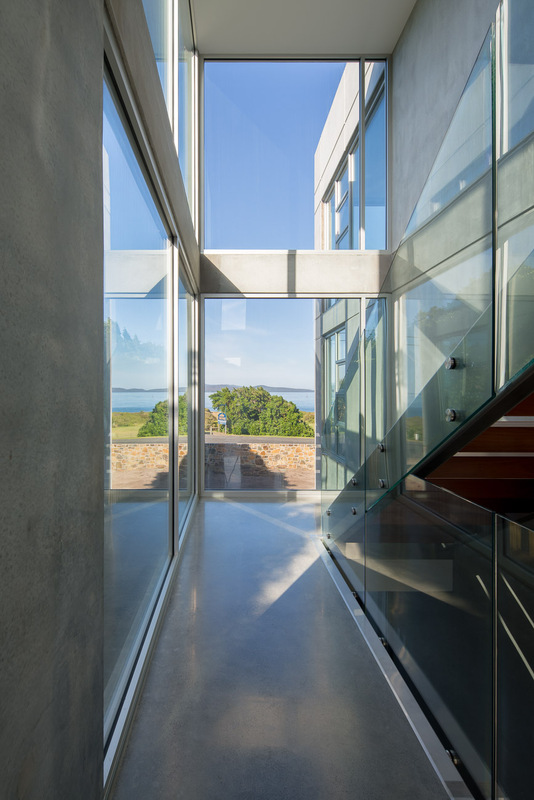 This entry was posted in Residential Projects and tagged Brunacci Residence, Construction Blog, Launceston Architects, Low Head, MJ Architecture, Residential Architects, Tasmanian Architects on September 4, 2014 by MJ Architecture. 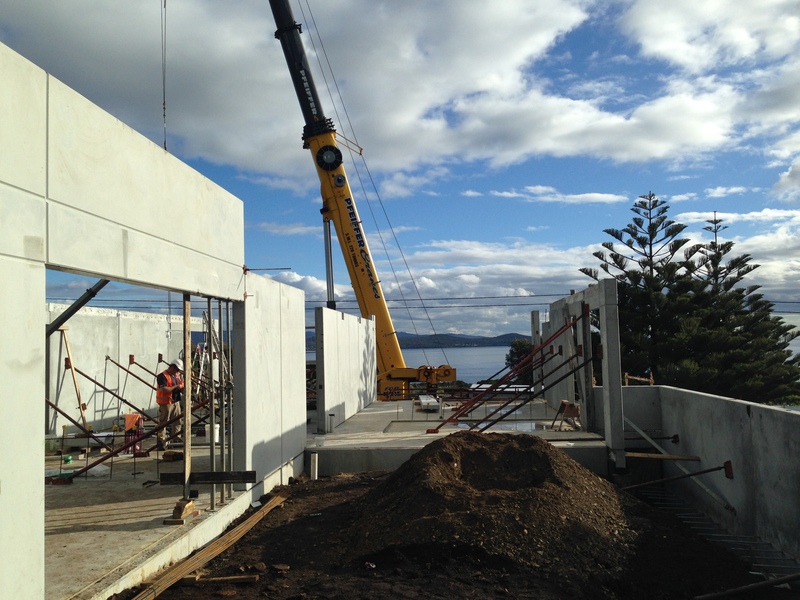 The first pre-cast concrete panels have now been craned into place. 35 individual panels which comprise of the lower ground floor level were indiviudally lifted and carefully located into place without a hitch. Careful and considered detailing of each panel enabled the construction to fit together like a jigsaw. 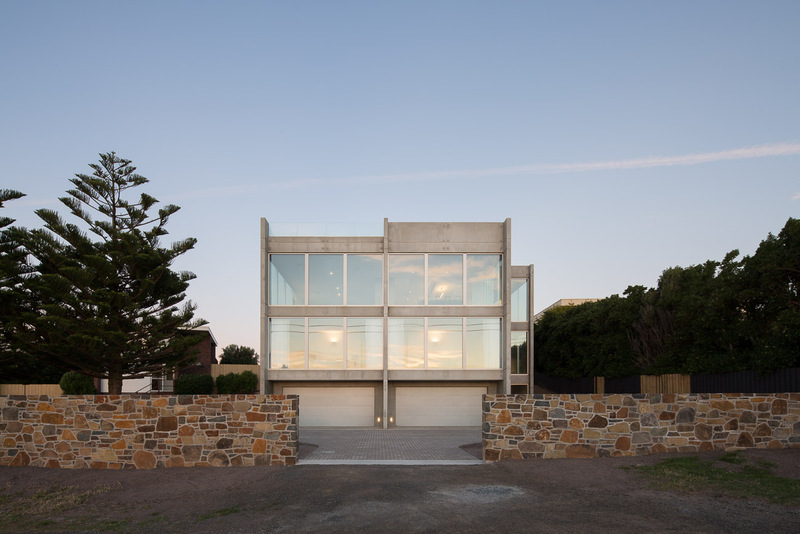 This entry was posted in Residential Projects and tagged Brunacci Residence, Construction Blog, Hobart Architects, Launceston Architects, Low Head, Pre-cast Concrete, Tasmanian Architects on June 28, 2014 by MJ Architecture. 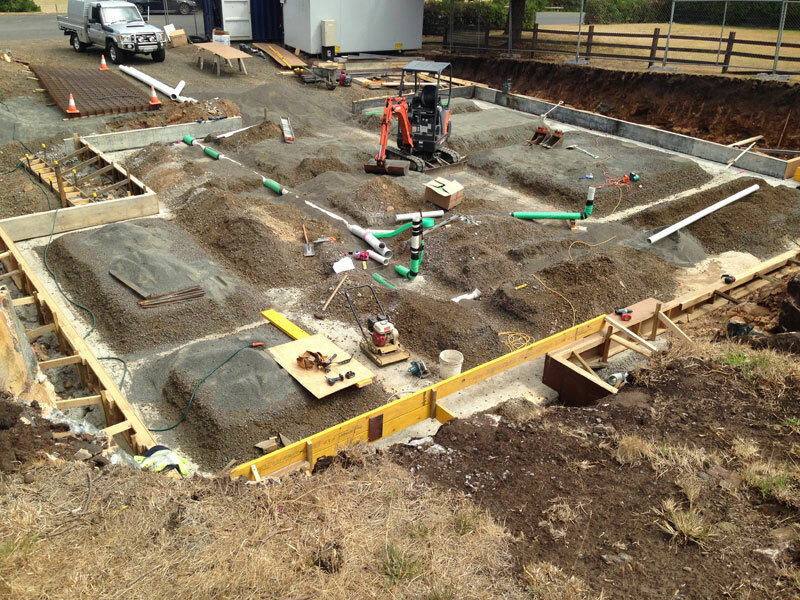 Progress on the foundations is well underway, with the lower ground floor slab now poured and excavation work commenced on the ground floor slab. The ground floor slab will be partly founded in the ground and partly a suspended concrete slab supported by pre-cast concrete walls which are currently being fabricated 300km away. 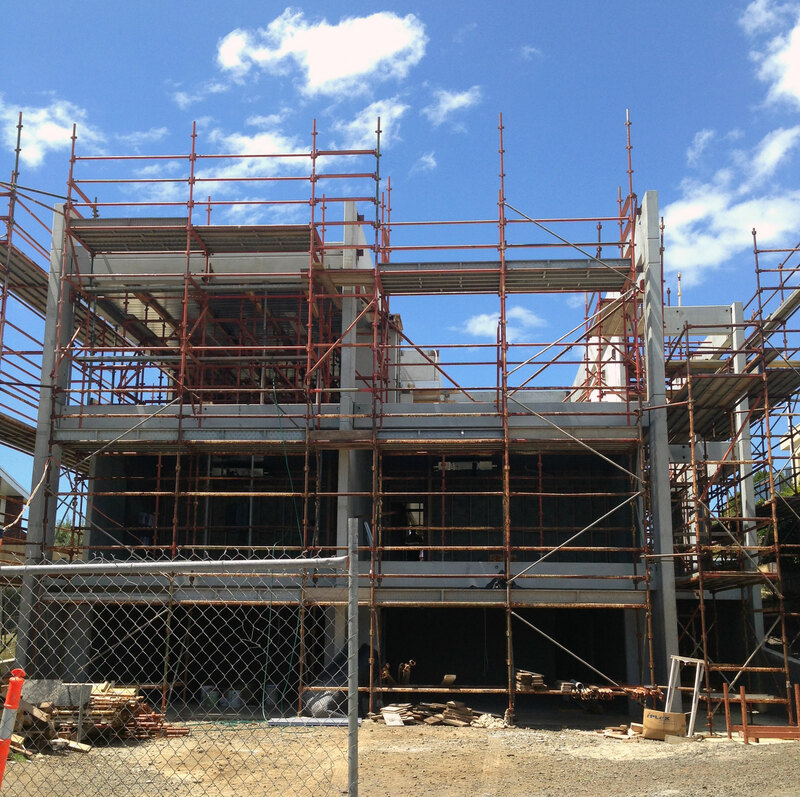 The transportation and erection of the pre-cast panels will commence in the next fortnight. This entry was posted in Residential Projects and tagged Brunacci Residence, Construction Blog, Hobart Architects, Launceston Architects, Low Head, MJ Architecture, Pre-cast Concrete, Tasmanian Architects on April 24, 2014 by MJ Architecture. 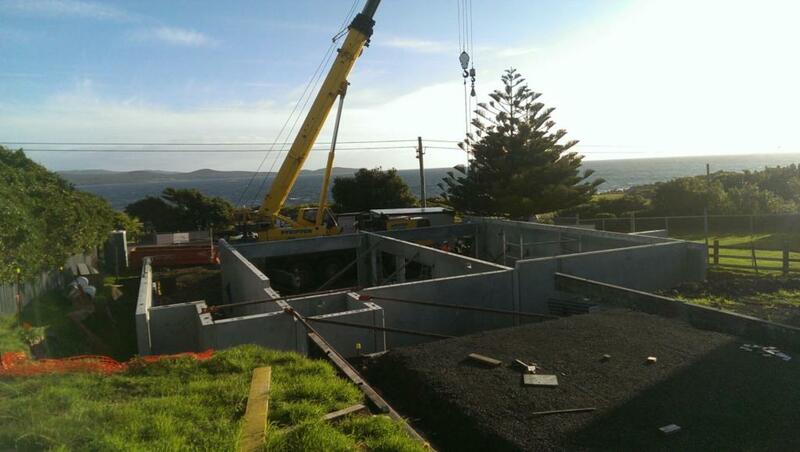 Work is underway on the largest house we have undertaken to date. 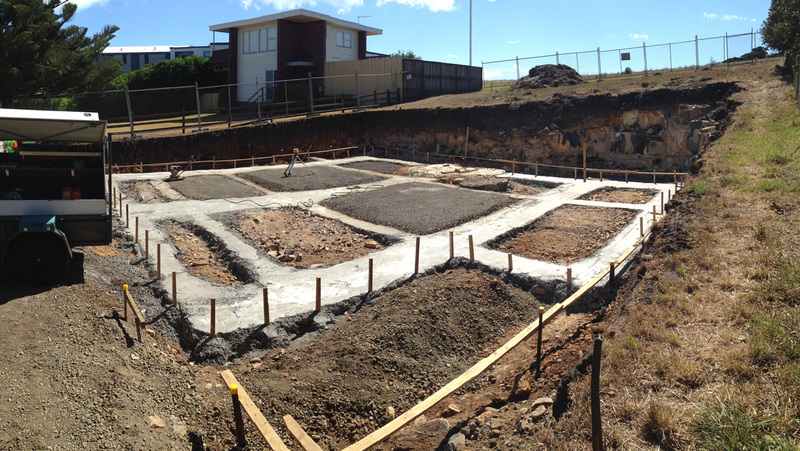 Over the next 8 months this site will see the construction of a 3 storey home fabricated from pre-cast concrete panels. This entry was posted in Residential Projects and tagged Brunacci Residence, Construction Blog, Hobart Architects, Launceston Architects, Low Head, MJ Architecture, Residential Architects, Tasmania on March 1, 2014 by MJ Architecture.